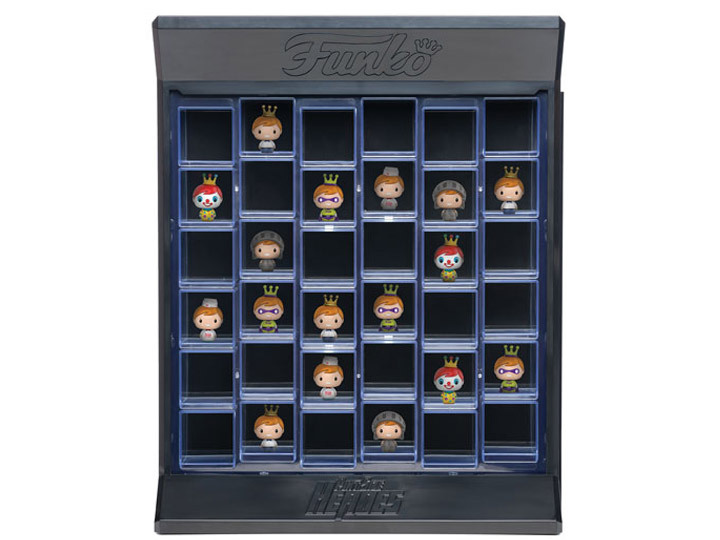 Fans of the adorable Pint Size Heroes line have an elegant and convenient new way to display their 2 inch figures. Display up to 36 of your favorite Pint Size Heroes with this display case. Clear windows in the case allow you to both protect you figures from dust and display your Pint Size Heroes for all of the world to see.